You could have pre-ordered a Nexus 9 or a Nexus Player two weeks ago, and I have no doubt that many of you did. But for everyone taking the wait-and-see approach, the two devices are both now available for purchase from the Play Store. If you have your eyes set on the tablet and live in the US, it will ship out in one or two business days. This timeframe holds up regardless of whether you want the 16GB or 32GB version, as long as it's black or white. Sand is still listed as "coming soon," as is the LTE variant. In case you've forgotten, the price ranges from $399.99 to $479.99. As for the Nexus Player, the story's a little more depressing. You can buy it now, but it won't ship for another 2 - 3 weeks. It goes for $99.99. 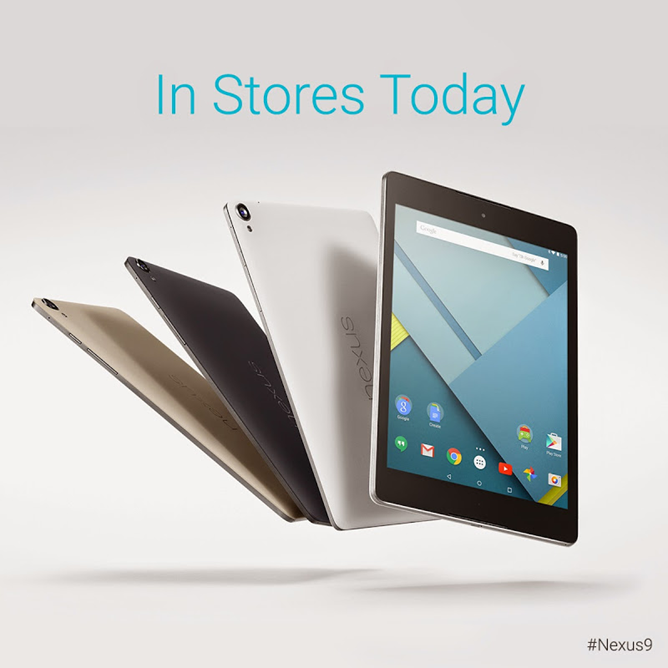 The Nexus 9 is also up for sale at Best Buy, but your luck may vary depending on location. The tablet is no longer listed as a pre-order, but it appears for me as either not available for shipping or sold out online. If your nearby store has one in stock, though, you could can place an order for in-store pickup. As for people living in other parts of the world, Google is willing to ship the Nexus 9 out to residents of Australia, Austria, Belgium, Canada, Denmark, Finland, France, Germany, Hong Kong, India, Ireland, Italy, Japan, Netherlands, Norway, Portugal, South Korea, Spain, Sweden, Switzerland, and the United Kingdom. The Nexus Player is only available in the US and Canada.